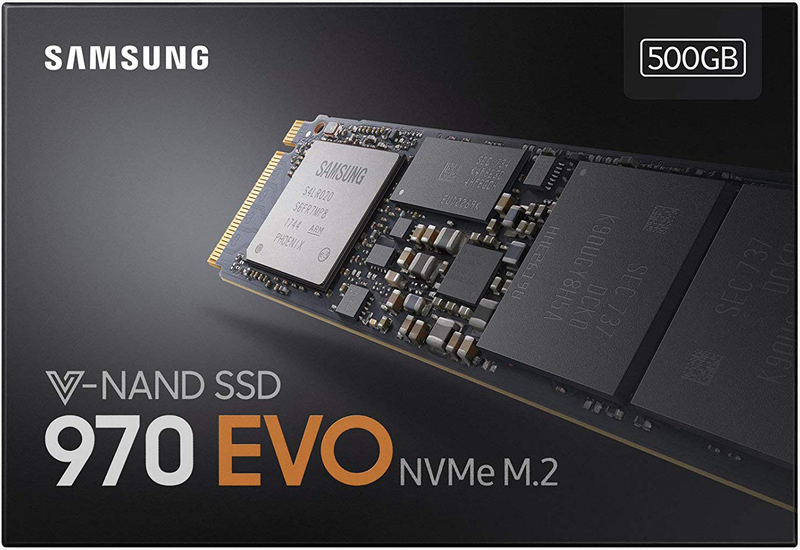 Samsung last month launched an enhanced version of its popular 970 EVO NVMe PCIe SSD (our favorite enthusiast SSD) featuring new V-NAND and optimized firmware. Naturally, that means older models need to be moved out and what better way to do that than a sale? All capacities of Samsung’s standard 970 EVO are on sale over at Amazon for a limited time. The biggest discounts can be had on the 250GB and 500GB drives which are marked down 20 percent from their regular price of $99.99 and $149.99, respectively (now just $79.99 and $119.99). If it’s more capacity you need, the 1TB model is down to $247.99 (a 17 percent savings over the usual $299.99 asking price) while the 2TB version can be had for $547.99 (down only nine percent from where it normally sits at $599.99). Samsung in announcing the aforementioned 970 EVO Plus mentioned MSRPs of $89.99, $129.99 and $249.99 for 250GB, 500GB and 1TB models, respectively, and said they were launching immediately. It’s now more than two weeks later, availability is scarce and pricing is higher than initially advertised. I dont wanna spend on nvme when traditional ssds do the job and cost less. My free space is shrinking always and I dont want faster ssd--I want cheapr ssd. I'm of a similar mind but am actually considering a NVMe as I'm short on SATA ports but have a free M2 slot on my motherboard. However the Samsung cards are too expensive as they prioritise speed and I just don't need that. So I'll probably go for a cheaper Crucial M2 which is priced similar to an SSD (in UK/Ireland) yet performs slightly better (in real world tests). M.2 performance over a traditional SATA SSD is miles better. Were talking SATA speeds of 550MB/s vs M.2 1500MB/s. M.2 for your OS at least and games on the SATA drives is a good recommendation.